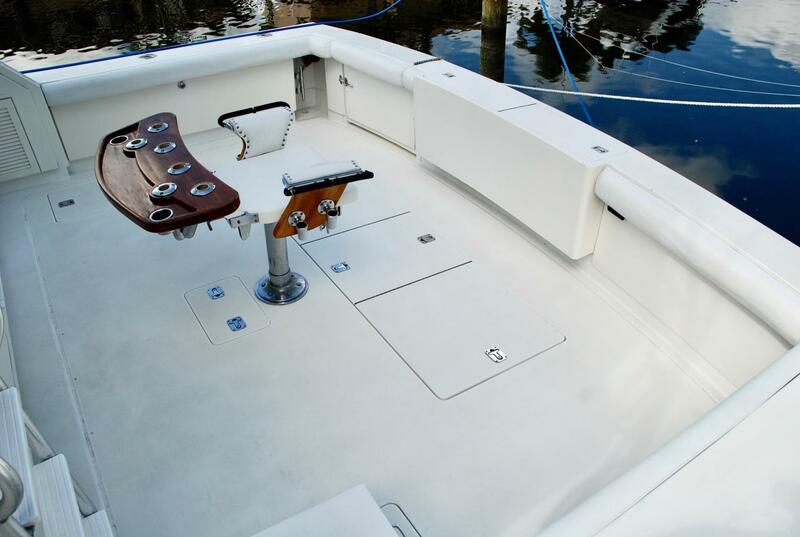 Bertram has been building high quality seaworthy boats for over 50 years. 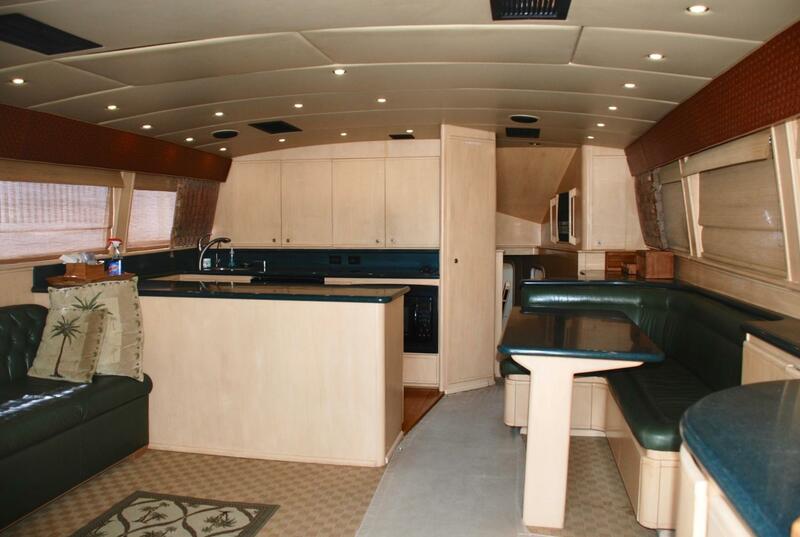 The Bertram 60' is perfect for running the canyons and hitting the tournaments. 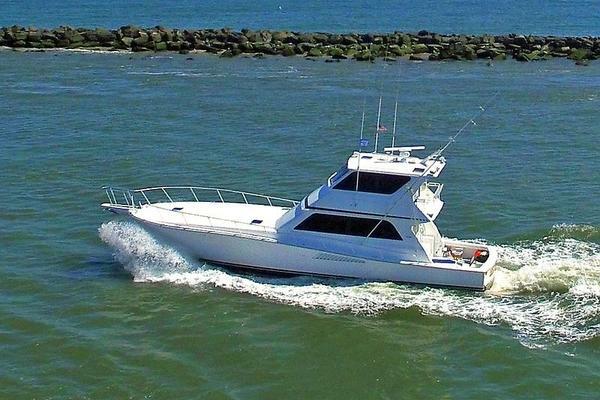 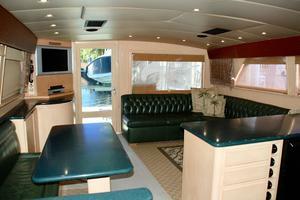 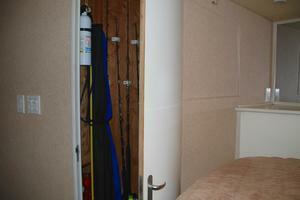 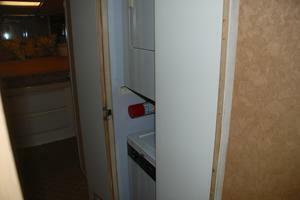 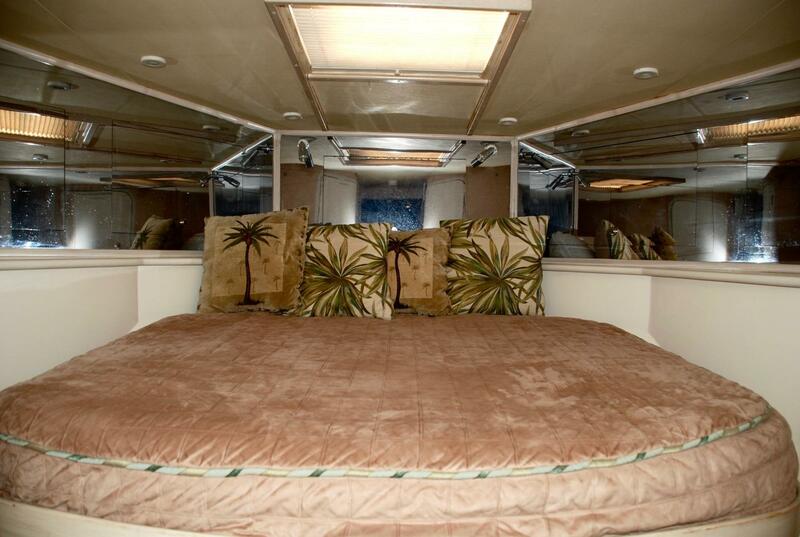 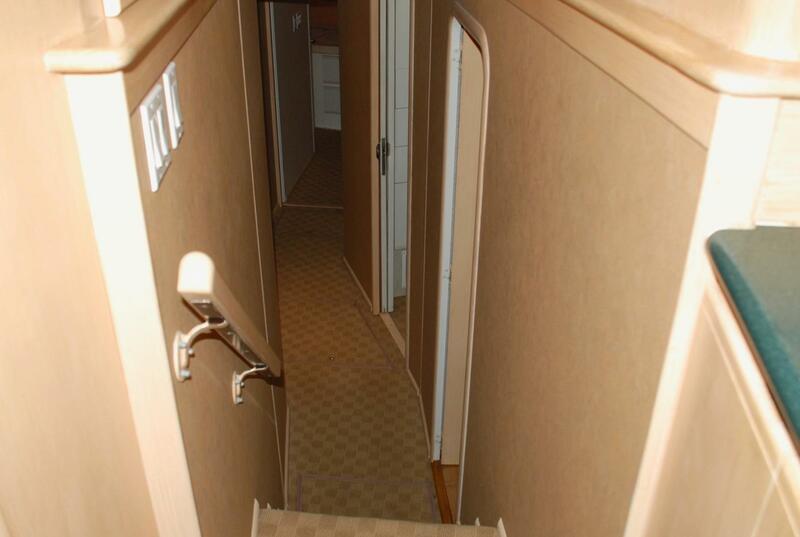 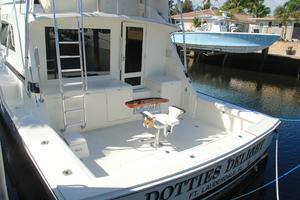 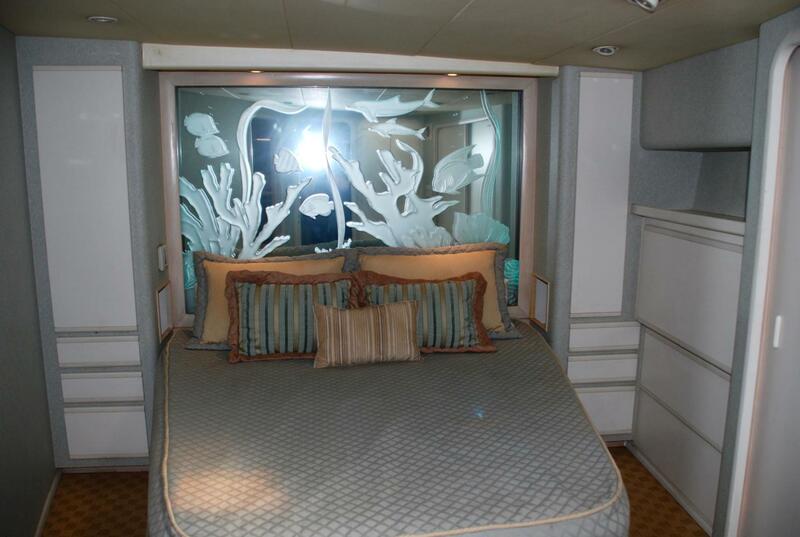 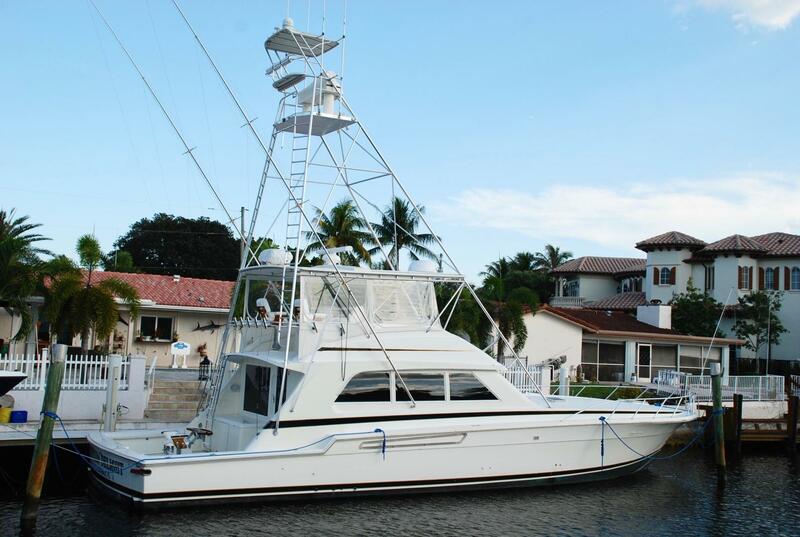 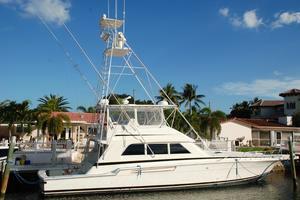 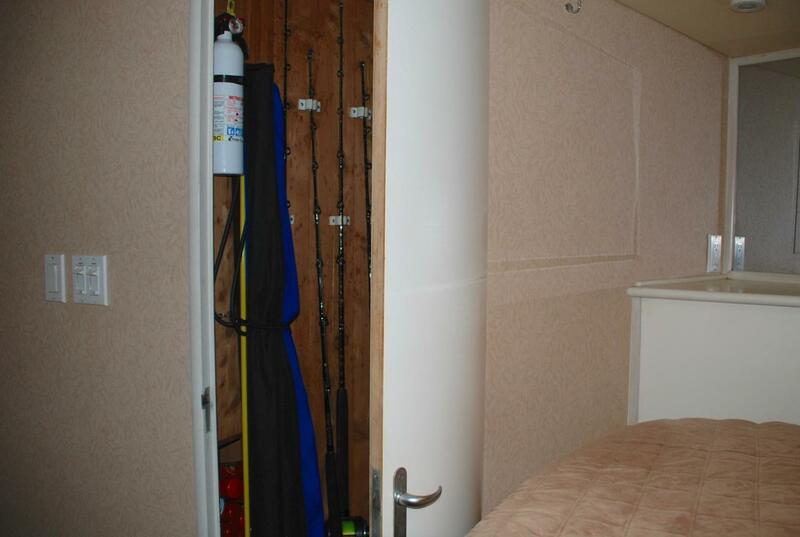 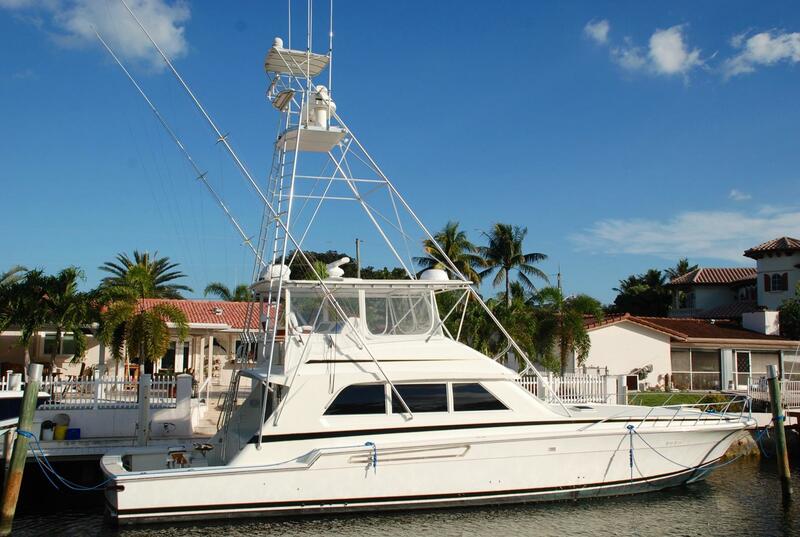 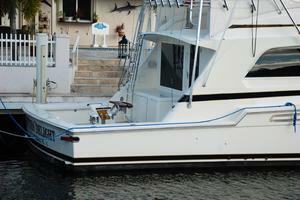 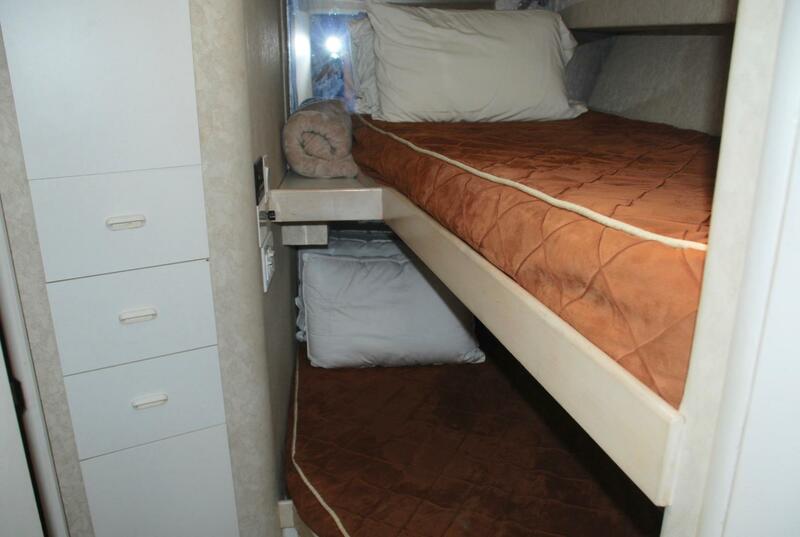 Her three stateroom, three head, galley up floorplan offers all the comforts of home for those extended fishing trips. 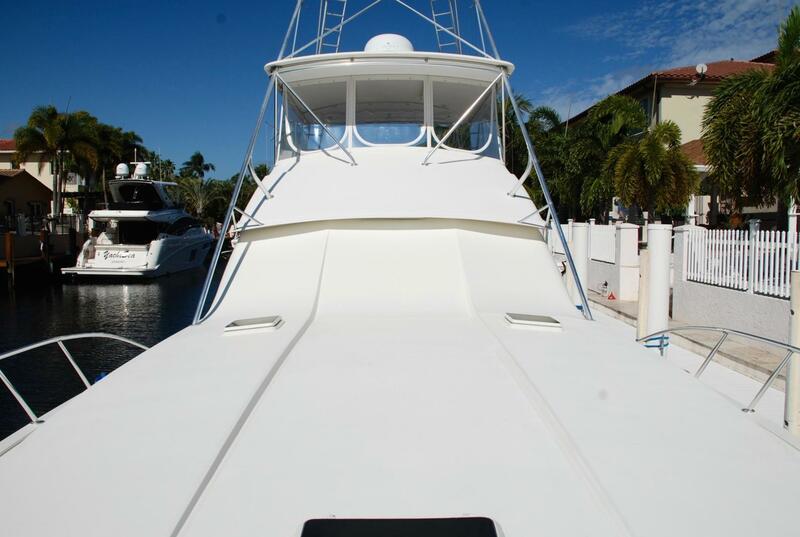 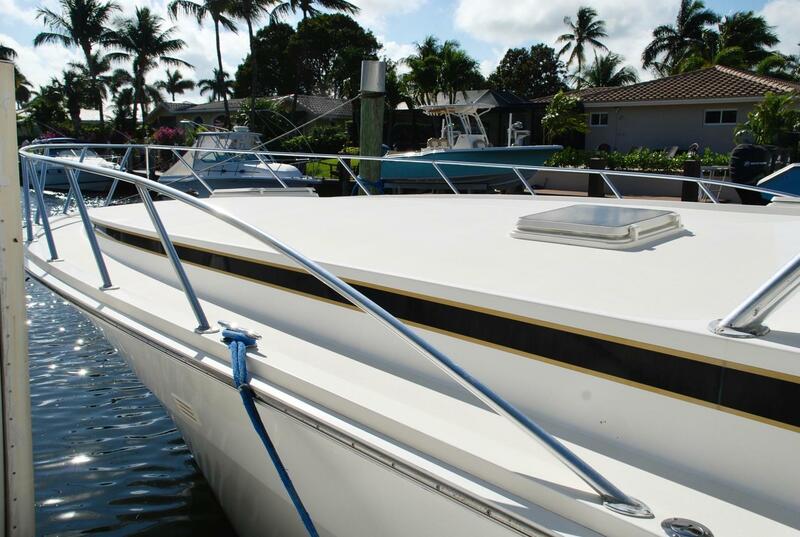 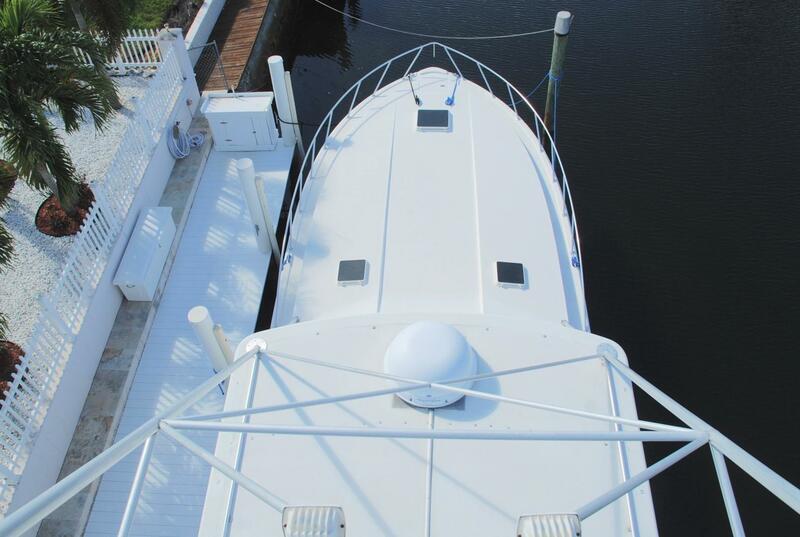 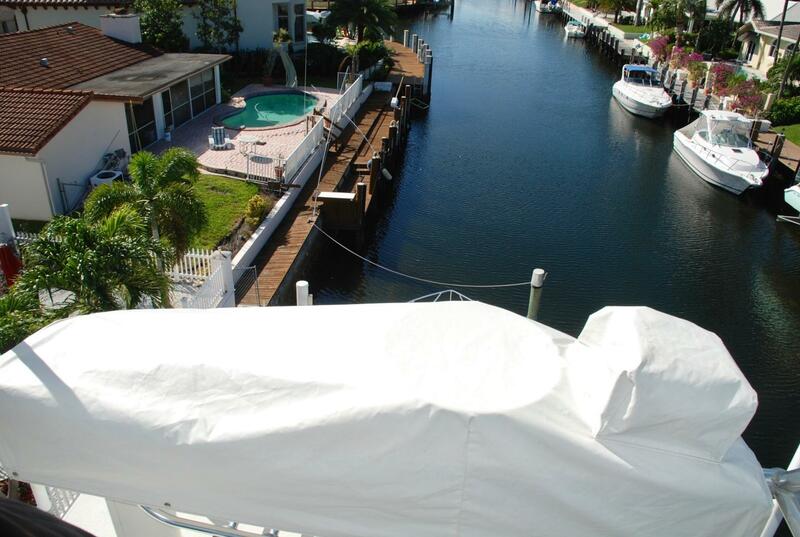 The owner has a full time Captain that maintains this vessel to the highest standards.The owner has completed many upgrades. 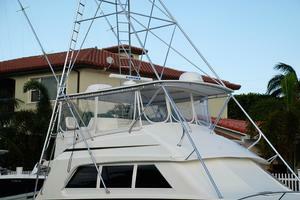 Perfect for fishing the tournaments in the Bahamas and Florida Keys. Vessel shows well. 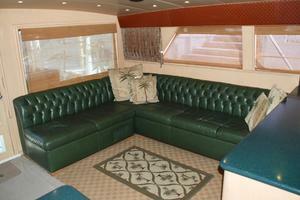 Entering the salon, the L-shaped Ultra-Leather settee is immediately to port opposite a recessed TV. 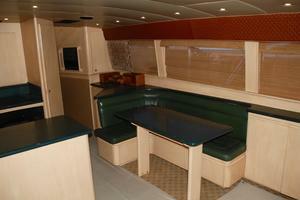 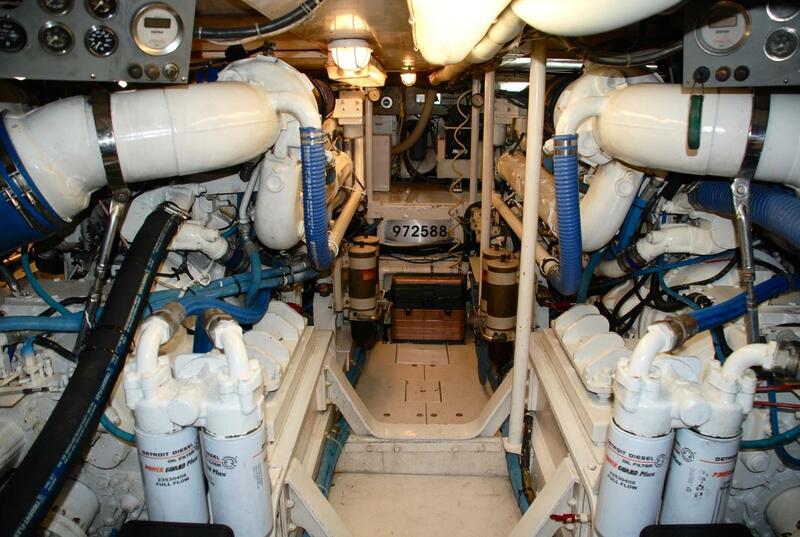 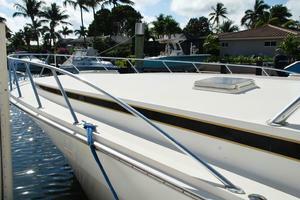 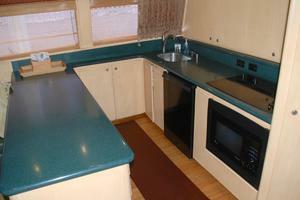 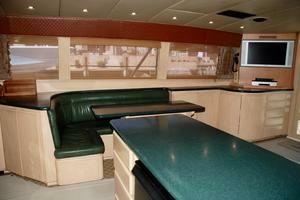 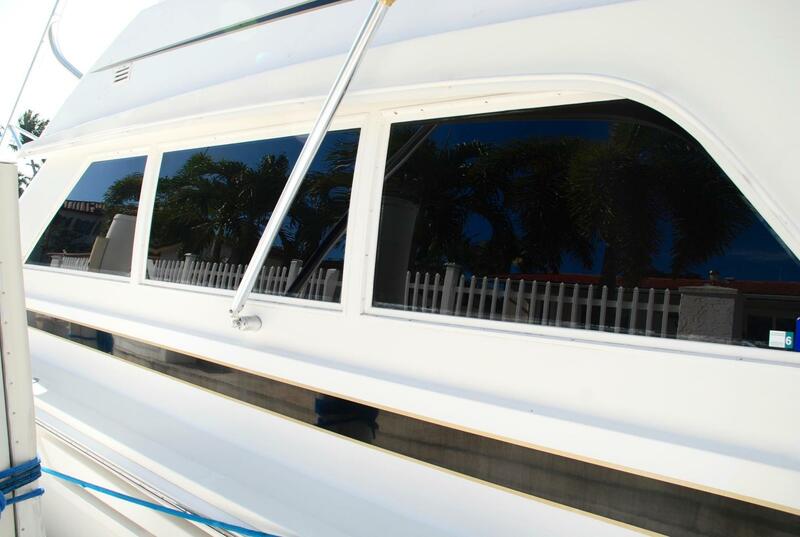 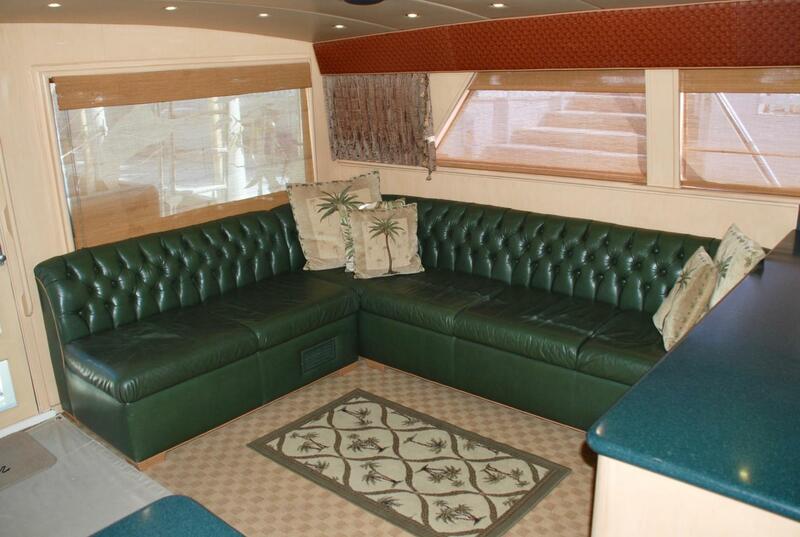 Forward of the salon is a large, fully equipped galley to port with seating and a dinette to starboard. 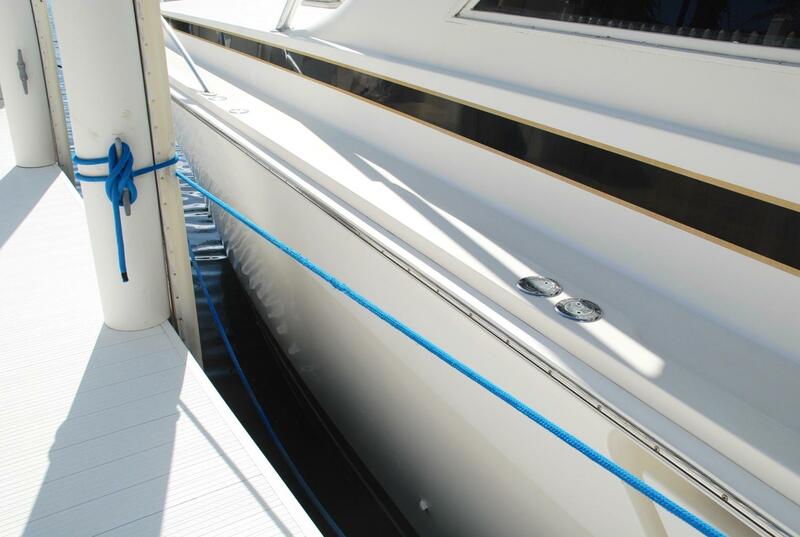 Berths are located down three steps. 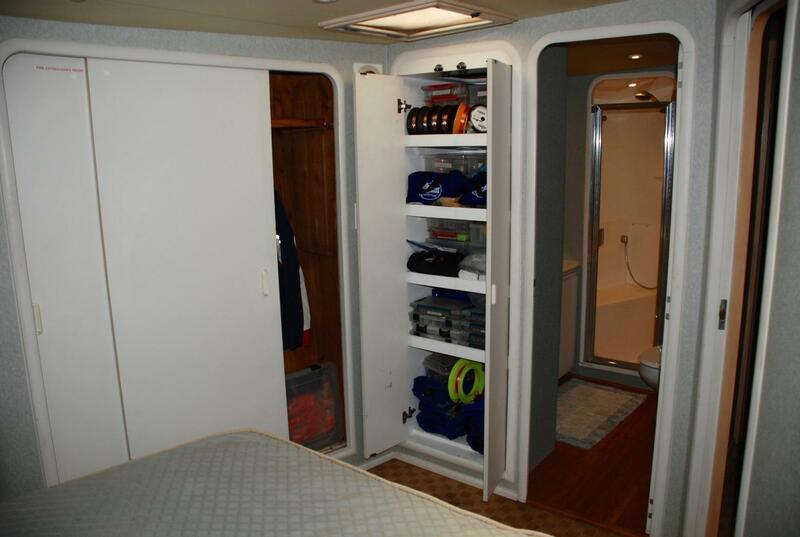 Owners cabin is midship port with an island double berth, etched back-lit headboard, double wide closet and an ensuite head. Across is the guest cabin with over under beds and private entrance to the day head. 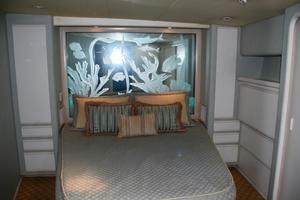 The VIP stateroom is forward with a queen island berth and an ensuite head. 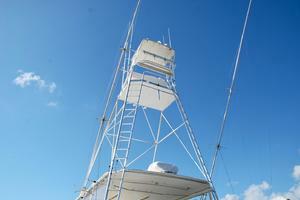 Vessel includes the full tuna tower and Rupp Outriggers. 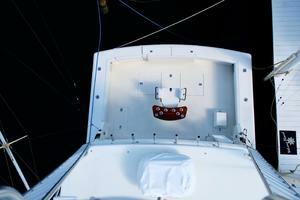 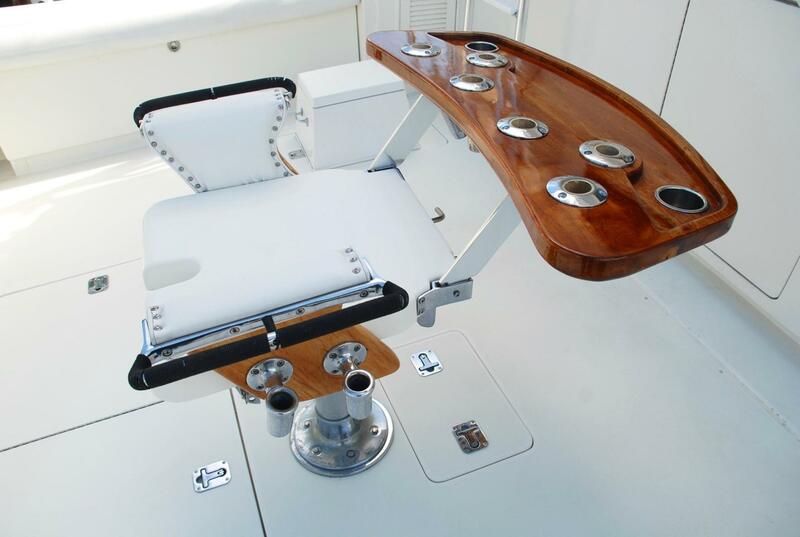 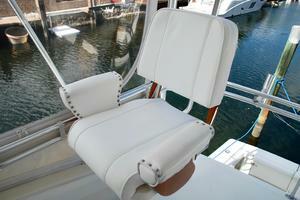 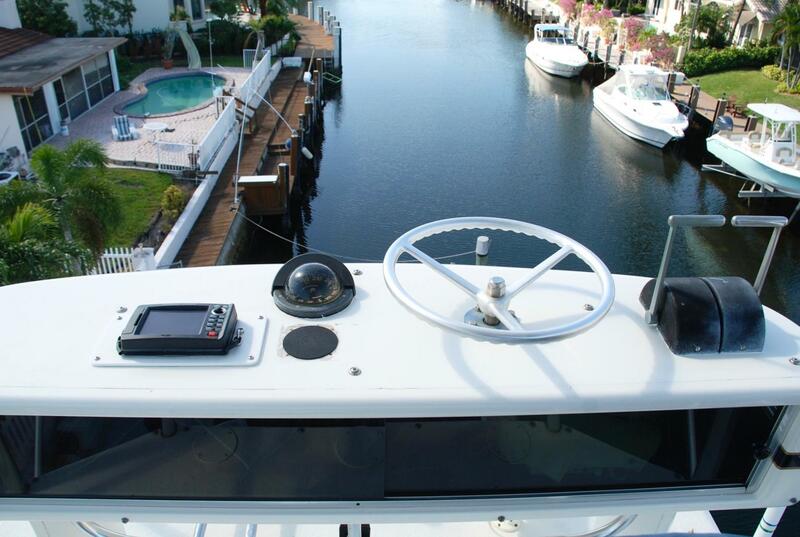 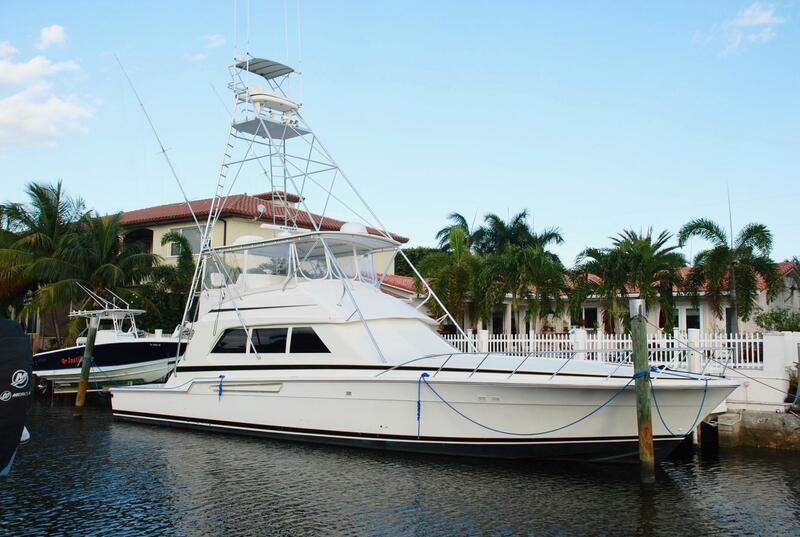 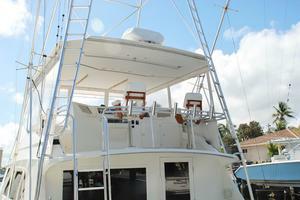 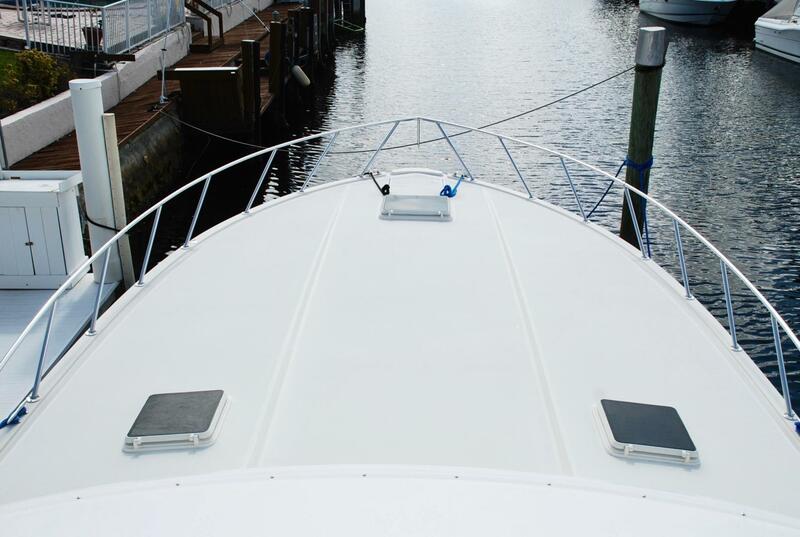 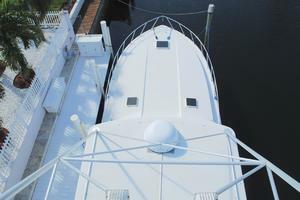 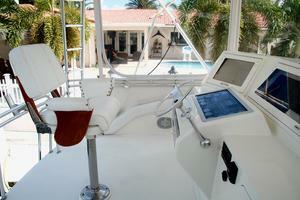 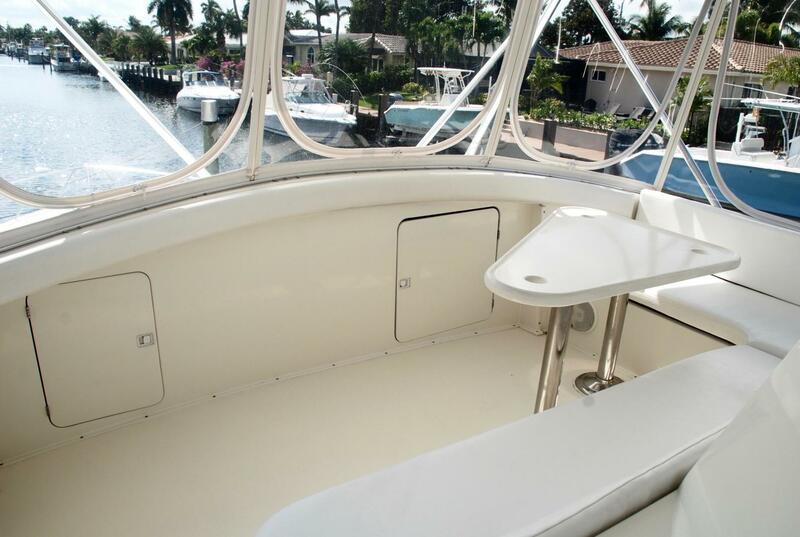 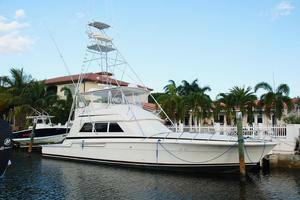 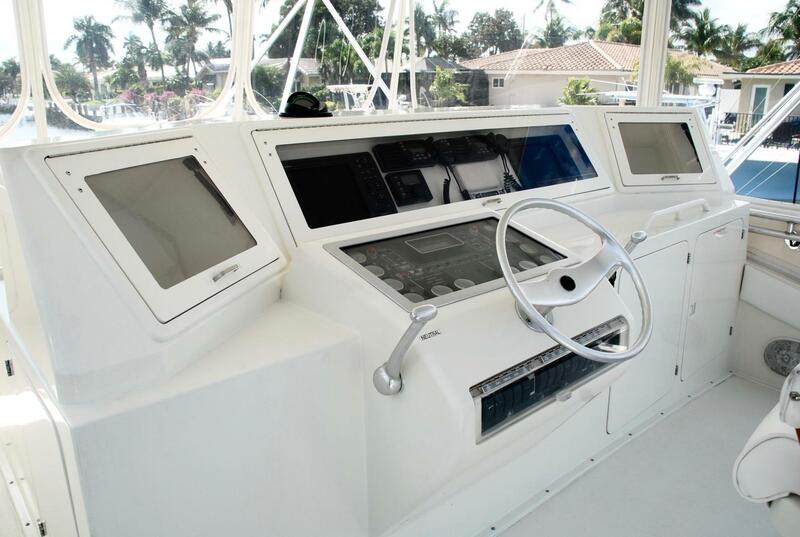 The flybridge has plenty of seating and the helm has upgraded electronics. 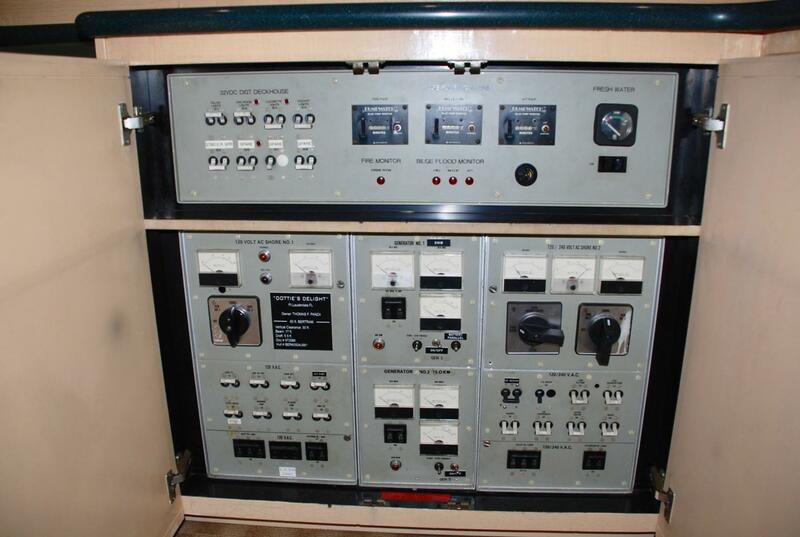 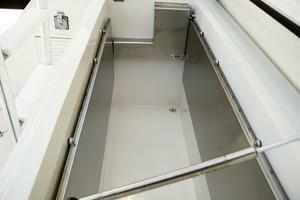 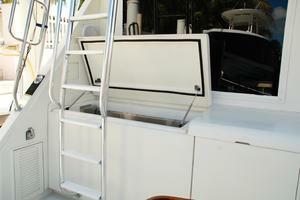 The cockpit has a giant top load freezer, Eskimo ice chipper, rod storage, in-deck fish boxes and a transom door. 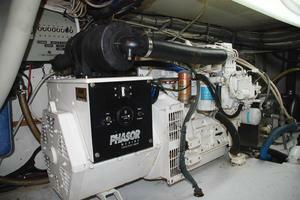 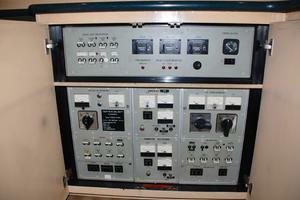 Vessel has a Sea Recovery 600 GPD Water Maker.